Going for a snack we went to Smoke's Poutinerie and tried their perogy poutine which was listed as selling for a limited time only. 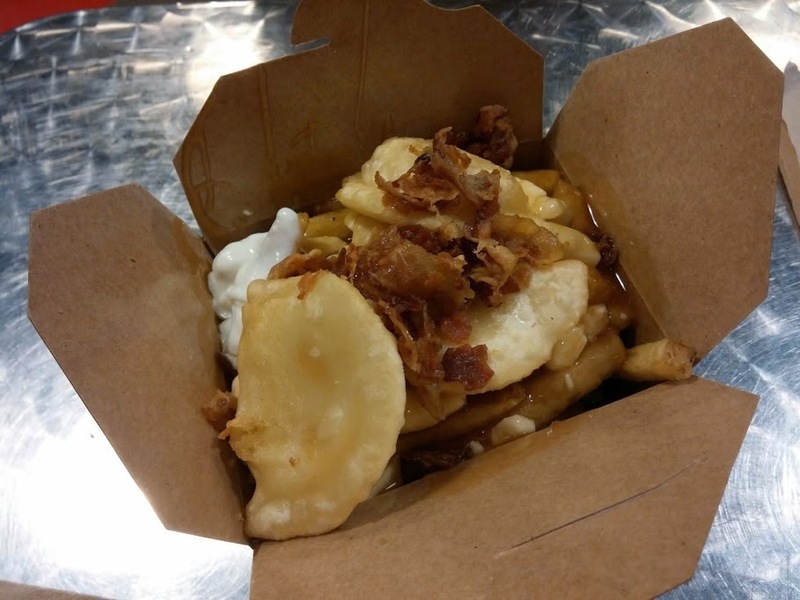 The perogy pieces were deep fried and there was a dollop of sour cream and sprinkled bacon on top of the poutine. The perogy pieces weren't anything special and were similar to ones you can find in the frozen section of the grocery store. The gravy for the poutine wasn't that thick but flavourful and there was an adequate amount of cheese curds. Although there was probably a lot of sodium in this, it didn't taste too salty which was good.